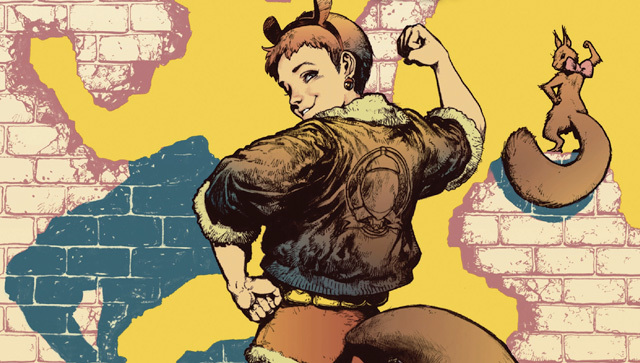 TVLine reports that Marvel Entertainment and ABC Studios are developing a New Warriors comedy series that would put the spotlight on Squirrel Girl! The outlet says that Marvel and ABC Studios are shopping the property around to cable and streaming outlets. First appearing in “The Mighty Thor” #411, the New Warriors are described as a junior counterpart to The Avengers. The original New Warriors was created by editor Tom DeFalco who brought together existing Marvel comic book characters Firestar, Marvel Boy, Namorita, Nova and Speedball and added in the newly-created Night Thrasher. Over time, the team was joined by Silhouette, Rage, Hindsight Lad, Bandit, Dagger, Darkhawk, Powerpax, Turbo and the Scarlet Spider. The New Warriors have been featured in five different volumes. What do you think of a New Warriors TV series with a focus on Squirrel Girl? Let us know in the comments below.